On Wednesday Jan. 30, roughly 50 students rode to the Virginia State Capitol to lobby for Mason Lobbies, an annual event. This year students were advocating for increased financial aid, salary compensation increases for Mason faculty, additional research funding and more. 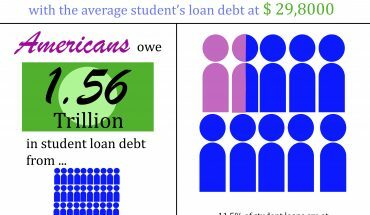 “In terms of per-student spending, Mason lags behind in how much money we get from the state,” said Tim O’Shea, the executive secretary for government and community relations for Student Government. 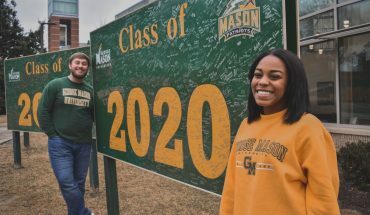 This year, Mason was advocating for an additional $12 million in funding to bring the per-student general fund appropriation more in line with that of other institutions. 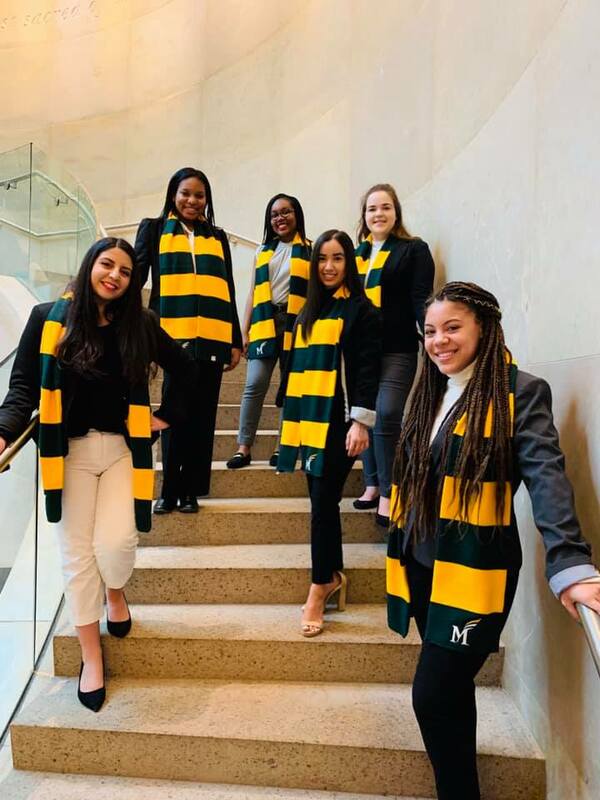 Any student was able to attend Mason Lobbies Day, but over two-thirds of those who went were members of Student Government. In addition, this year over 80 percent of students attending were members of another student organization besides Student Government, according to O’Shea. This was in part an effort to target students who were active on campus outside of Student Government, and who might be able to personally relate how student funding affects them. “The biggest reason for me, and this comes from conversations with the State Relations office, is that you consistently hear that state legislators and their [staffs] have a very strong opinion of Mason students as civically engaged and very adept students, and part of that is because of things like Mason Lobbies, where they get to see Mason students in action,” O’Shea explained. Students who attended the lobbying day were required to complete online training on lobbying and were provided with a packet of helpful information before arriving in Richmond, including specific information for their legislators, a map of the capital, emergency contact information, fact cards created by Office of State Relations and a document detailing their legislative priorities. From 9:30 to 11 a.m., students divided themselves into teams to attend meetings with legislators. Some students were able to meet with legislators representing their home districts. During this time, the students advocated for a variety of Mason-centric issues that they wished to see legislators support in the next budget. “I had the chance to meet with Del. Mark Levine and Sen. Adam Ebbin,” recalled Yasmin Jaramillo, the undersecretary for state governmental affairs for Student Government. Jaramillo explained Mason’s lack of funding compared to other public universities in Virginia. Other issues that students advocated for include funding to improve telecommunications network infrastructure, funding to provide for Mason’s partnership with Northern Virginia Community College (ADVANCE) and research funding to promote innovation and job creation. 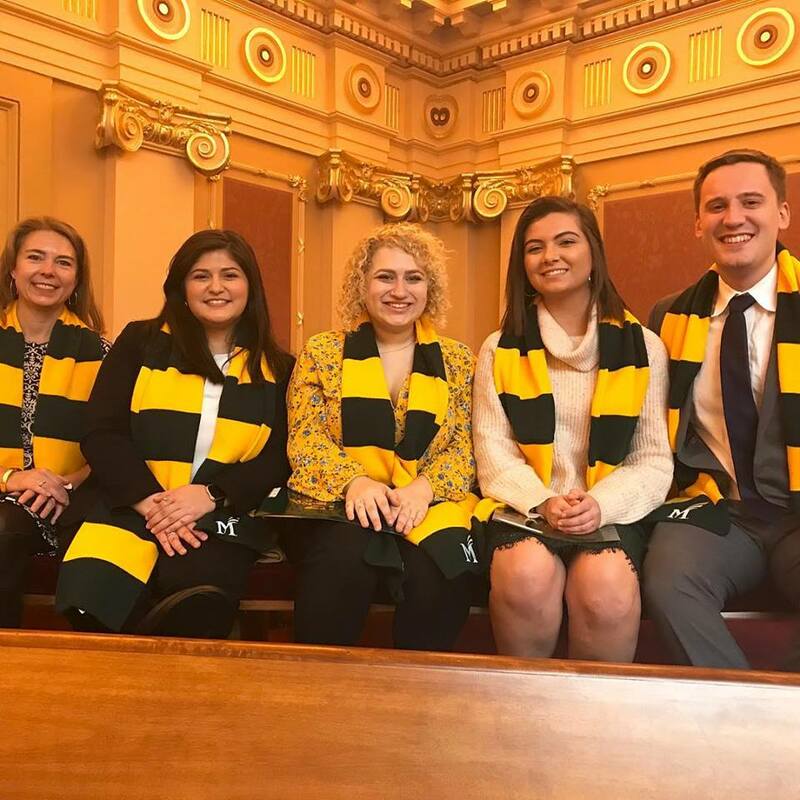 After the meetings with legislators, five students were selected to sit in the gallery of the State Senate and five others in the gallery of the House of Delegates. They were recognized by the state legislators for being in attendance. “I learned that our legislators appreciate hearing from the people they represent, and that as students, we can make a difference in our own education by being advocates for our school,” concluded Jaramillo.